Do horror movies give you nightmares? 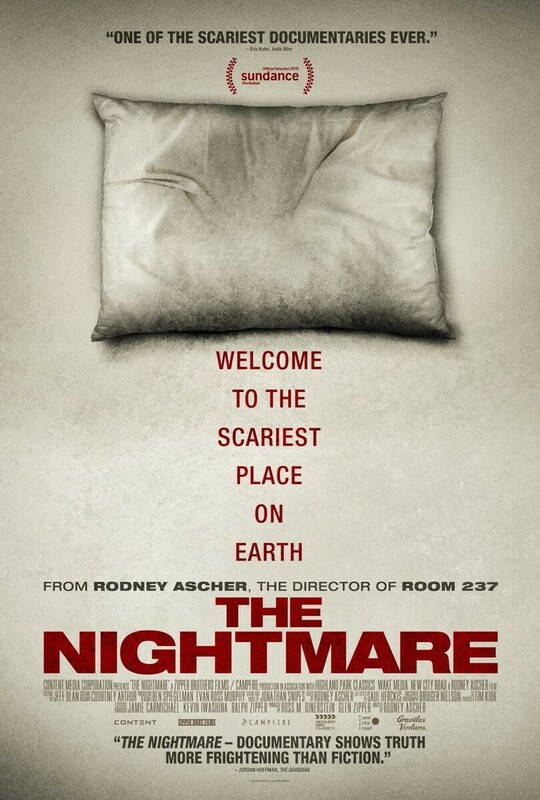 Maybe it’s nightmares that gave the world horror films. After all, no-one really understands what it is that makes Silence of the Lambs scary but Hannibal laughable, or Manhunter scary but Red Dragon boring. We can gesture in the general direction of what “scary” is, but there is no science of scaring, only the alchemy that really good horror directors are capable of. Actually, even that’s not quite it: take a look down a list of the best, scariest horrors ever and you’ll find very few directors are repeat offenders. Jaws, Alien, The Shining, Rosemary’s Baby and Carrie are all by classic directors who never made another horror film. John Carpenter is a horror legend and a genius, but he only made two good horror films, alongside some good action films, sci-fi films, comedies, and some real trash. The Texas Chainsaw Massacre was Tobe Hooper’s only big moment until Poltergeist. George Romero has made some good films and some bad ones, but only Night of the Living Dead is genuinely frightening. Everybody worships Hitchcock, but outside of the twin masterpieces Psycho and The Birds, he rarely moved out of the thriller genre. So it would seem that even the makers of some of the scariest films ever don’t really know how to reliably scare people. The serendipity of scaring would seem to be a natural match with the night-logic of bad dreams. We know even less about what causes nightmares or why we have them. Presumably it is, like most things, evolutionary in origin, but that’s not an explanation so much as it is a hand-wave. Still, it’s more than you’ll get in The Nightmare, which sets out like it’s going to throw back the curtain on the whole murky subject of fear, shining the light of knowledge on the clingy twin shadows of nightmare and horror. That’s a big objective and Nightmare quickly gives up on it, resolving to do no more than allow a bunch of sufferers of sleep paralysis to describe their experiences, intercut with dramatisations. Everyone’s felt that sense of panic when buttonholed by a bore who insists on describing some particularly dull dream they’ve recently had; well, here’s two hours of it. The interviews are carried out in naturalist style, which means that they have all the “um”s and “ah”s and general lack of charisma that pervades almost all real-life speech, and so it is left to the dramatisations to supply the film’s interest. These suffer from two problems: firstly, the effects budget can’t do anything more exciting than stuntmen in black tights suits representing shadows; and secondly, no amount of visual invention could get much from the interviewees’ stories, which are of uniform type: “I was lying in bed and I thought I saw a scary shadow-man come up to me and say ‘Boo!’”. For whatever reason, our brains periodically decide to try to spook us out, and some people are unfortunate enough to have brains that insist on doing it almost every night. But if the directors of the best horror films of all time had so much trouble consistently creating scary scenarios, what hope does yer man off the street have? And then, of course, a nightmare doesn’t have to be so dazzlingly frightening that its mere description sends shivers down your spine in order to compete with a horror film: we know films aren’t real, and we watch them for ghoulish fun, whereas we can’t help but believe our nightmares when we’re dreaming them up, and even the scariest, scariest film ever can only produce a shadow of the actual feeling of terror. So you can’t blame the dreamers interviewed here for never getting beyond the most basic archetypes of fear, but that in itself doesn’t make the film any more interesting to watch. It is a shame, because an exploration, with dreamers but also scientists and doctors and Jungians, of the universality of these fear archetypes would be something extremely fascinating. The best part of this film comes somewhere around the middle, a little discussion of James Wan’s childish bump-in-the-night ghost-train ride, Insidious. The argument is convincingly made that Insidious is a treatment of sleep paralysis disguised as a more traditional haunted-house movie. I can believe it, but the discussion only makes you long to be watching that film instead, and that’s about as ignoble as any achievement can be. Thanks. You’re right about getting horror right. I think maybe people don’t mind a bit of cheesiness in their SF, action or mystery films, or even enjoy it at times. But you see so many amateur filmmakers trying to tackle horror with blowing candles, figures in black, & appearances/disappearances in mirrors that just make you cringe really.